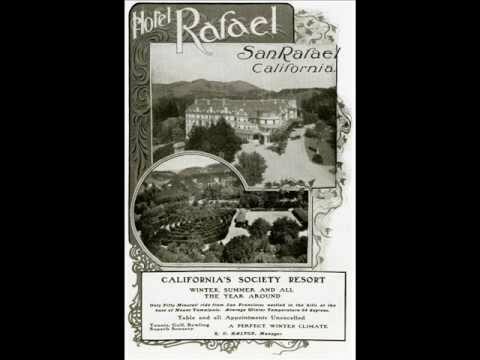 Among the many interesting pieces of ephemera in the California Room's collection is a 1901 musical score by Robert Uhlig titled "Hotel Rafael March". California Room Digital Archivist Carol Acquaviva has brought Uhlig's score and a brief history of the Hotel Rafael to life in a new YouTube video. Thank you Laurie! love these old photos & films. Thanks to Laurie & Carol for this combo piece. Dominican Area residents will surely be delighted. This is the first time many people have seen pictures of the famous place! The March is very 'catchy'! The site is just a few blocks from Aldersly where a friend of mine lives. She told me a girlfriend of hers was lunching with her grandmother at The Hotel Rafael the day it burned--caused by a fire in the kitchen. I love seeing the history of Marin. Thank you! Can't wait to see more. I was born here in 1962 and wouldn't move anywhere else.